This time of year, it seems that just about everyone is working in as much plaid as absolutely possible into their look. We’re still not too big on mixing and matching plaids with one another, but if you are confident enough to do it, more power to you. Today, we’re keeping the plaid around our necks courtesy of some great new additions to the Southern Proper line; they’re called the Quintessential Plaids. 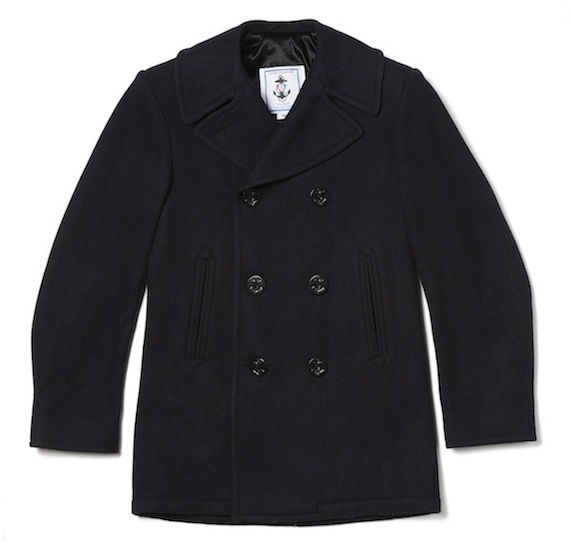 Maybe it is due to the fact that Daniel Craig wore a great one from Billy Reid in Skyfall, or maybe it is just because it is getting colder, but for one reason or another we’ve seen a number of emails lately asking for guidance in finding a pea coat for winter. We’re huge fans of the Billy Reid version, but we hear the waiting list isn’t going to be getting shorter anytime soon. In the meantime, we’re sticking with a tried and true classic, the Navigator from Sterlingwear of Boston. The post below originally ran on February 12, 2012. Back in April, by complete coincidence, we ran into the guys from Country Club Prep while attending a practice round of the Masters. Had Ben not been wearing a Starboard Clothing hat, and Jay from Red Clay Soul not spotted it, we would have probably passed right by each other without a second thought. Luckily, that didn’t happen and 8 months later we are proud to not only have Country Club Prep as a sponsor, but also call the guys behind the site friends. Country Club Prep carries a number of our favorite brands, and they’re also doing quite well with a few self branded products. 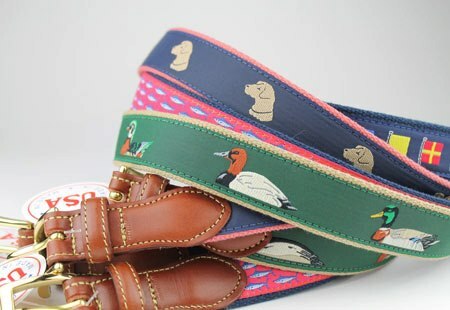 You already know about the items that feature their mascot, Longshanks, but did you know they also have their own line of leather tabbed belts? Guys, if you’re looking to make a splash on the holiday party circuit this season the time to start planning is now. 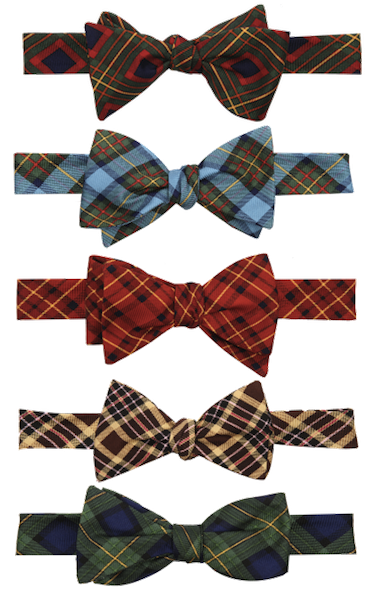 Sure, if you normally don’t wear a bowtie and you break out the Dogwood Black Tartan Bow that we are currently giving away, you’ll turn a few heads, but for those of you really looking to go the extra mile, we suggest moving that tartan print to your pants. 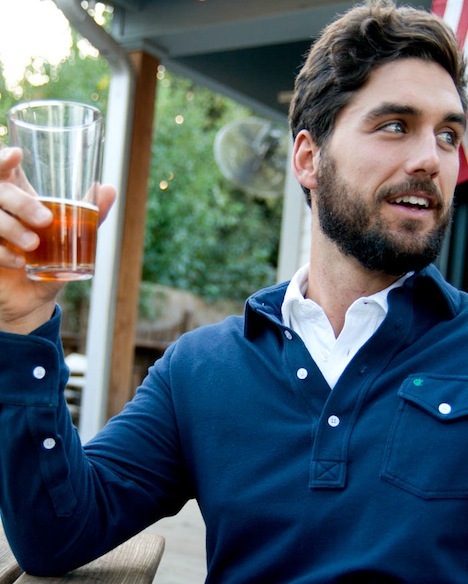 There are some solid options out there this year, and one of our favorites comes from Bonobos. 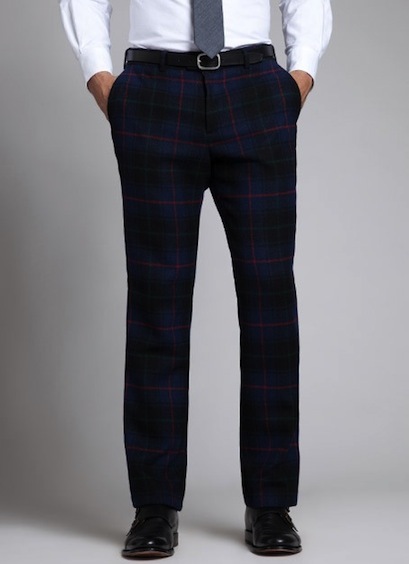 Their Tannenbaum Suit Pants are sure to be a hit wherever you wear them. This summer, we absolutely fell in love with the Players Shirts from Criquet. Literally, just hours after ours arrived we were on the golf course giving them a whirl. The Players Shirts are extremely comfortable, cut just right, and have a bit of a vintage feel to them that fits in just as well off the course as it does on. Our one complaint was that the Players Shirt wasn’t available in a long sleeve version. Well, as of last Friday, that complaint is no longer valid. Not only has Criquet taken the wraps off of the long sleeve version of their Players Shirt, they’re also going to give one away to a lucky Bowties & Boatshoes reader. We normally run for the hills when it comes to “holidays” that are pioneered by corporations, today is an exception to that rule. Started in 2010 with a huge backing from American Express, Small Business Saturday is one of those holidays that we wish would come every month. Many of the items we feature here at Bowties & Boatshoes come from small businesses, and we love that most of them can only be found in small local retailers as opposed to large national chain stores. 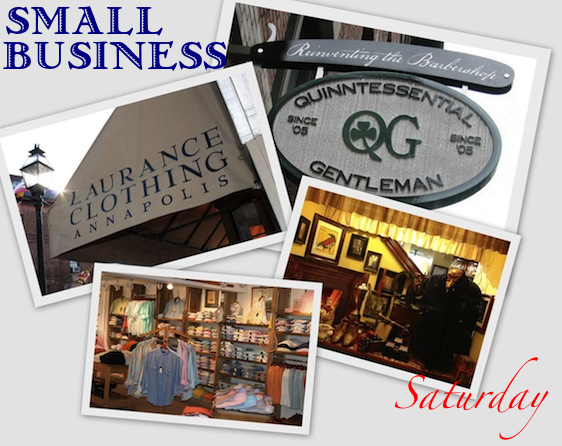 In celebration of Small Business Saturday, we thought it was only right that we head back into the archives to revisit two of our favorite local small businesses, Laurance Clothing in Annapolis and The Quinntessential Gentleman in Baltimore. Will you be out celebrating Small Business Saturday today? Where? Now that we are slowly coming out of the food coma we put ourselves into yesterday, it’s time to start thinking about holiday parties. Our calendars are filling up fast, and it seems that we won’t have a totally free weekend anytime between now and the beginning of 2013. 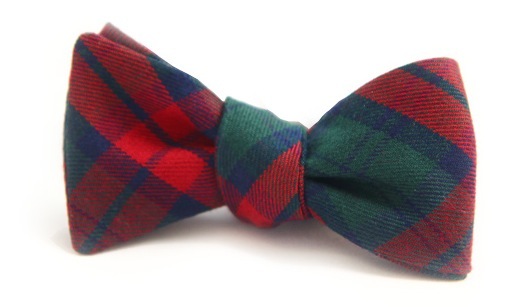 Of course, a bowtie is always part of our ensemble for a holiday party, and one that we’ll be adding to the rotation this year is the Red and Green Tartan Bow from Dogwood Black. Luckily for you, they’re also going to be giving one away to a lucky Bowties & Boatshoes reader. 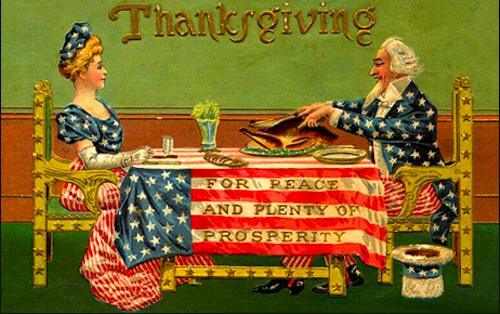 We have a lot to be thankful for this year, and if you’re reading this you are one of those things. 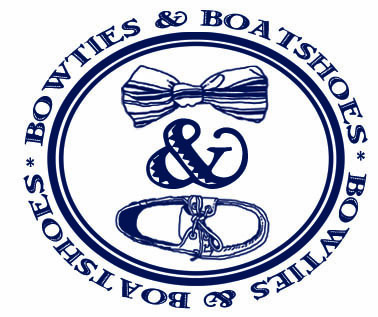 We truly appreciate each and every one of you who take the time to visit Bowties & Boatshoes. Whether you are a few days in to your Thanksgiving break, or you’re scrambling like a mad man to get things wrapped up in the office before being out for the holiday, we hope you will all be officially on vacation by 5:00 today. If you’re anything like us, you’ll probably have a a good bit of downtime over the next few days. That said, having a comfortable sweatshirt at the ready is probably a good idea. 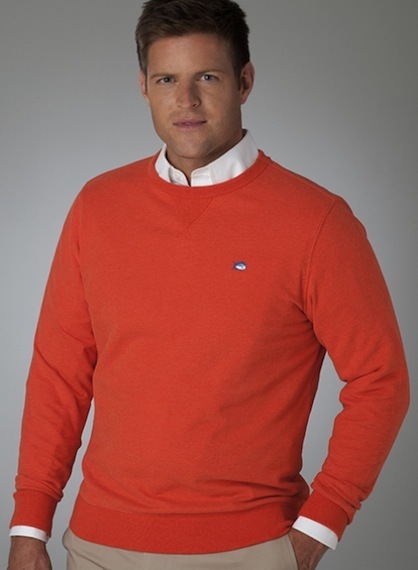 If you’re in need of something new, take a look at the Upper Deck Pullovers by Southern Tide. 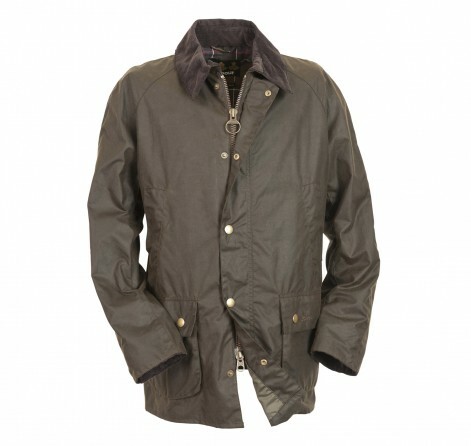 Barbour has been getting a ton of attention in the blog world over the past few months, and in our opinion the love is well deserved. We have no idea what has caused the spike in interest, but are happy to contribute to the cause. Any company that makes great looking items that we could feasibly wear for the rest of our lives is definitely one that deserves heavy praise. On a recent visit to Sid Mashburn in Atlanta, we were finally able to get hands on with a Barbour jacket we’ve had our eye on for some time now, the Ashby.